INZ refused most of the student visa applications from some education agents in India, Vietnam and the Philippines (2017). Radio NZ reports Am I eligible? 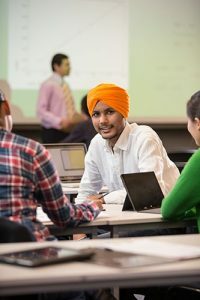 Some agents in India registered a 98% decline rate in their student visa applications while the approval rate is usually around 70% for the countries named above. Not all applications are declined on reasons that could be related to a poor eligibility assessment. In fact, many applicants struggle to prove the source of their maintenance or tuition funds. However, this clearly shows how important it is to chose the right education agent. New Zealand Shores is a registered agent for New Zealand’s leading tertiary institutions and polytechs. We are also experienced Licensed Immigration Advisers who know what INZ requires and what it takes to get an application approved. Our education experts in New Zealand and in India can recommend the courses best aligned to your past qualification, experience, and future migration goals, so contact us today so we can assess your eligibility. Talk to our student specialist now and find out how we can help you achieve your education or migration goals.